Today we continue our offbeat excursions to explore the things to see and do in Central Asia. This week we visit Kyrgyzstan, a rural and mountainous country that will remind you of the gorgeous scenery of New Zealand yet with a very different and distinct nomadic culture. Some actually call it the “Switzerland of Central Asia” due to the fact that it’s a land-locked nation comprised almost wholly by the Tian Shan mountains. You’ll also hear that Kyrgyzstan is the most accessible of the ‘Stans, due to the rather straightforward visa process and availability of direct flights from major airports such as London Heathrow. The true highlight of this country is actually the people. In the capital of Bishkek there are many Russians, but outside of there you will find people who still live in traditional, nomadic ways. They travel by horse, not by car (probably a wise choice once you see the condition of the roads). By summer they live in yurts and by winters they have sturdier shelters. But despite living in what must be one of the harshest climates in Asia to be a nomadic culture, these are some of the most hospitable people in the world. The stories of friendliness and warmth are endless, and something you’ll no doubt encounter on any visit here. Be sure to take note of the mingling of cultures; as mentioned, there are many Russians in the capital, but Russian influences can be seen even in the nomadic cultures. The Kyrgyzstan is a Muslim nation but the powerful Kyrgyz vodka that is prevalent in day to day life is obviously a holdover from the days of Russia. Ok, so if people are the main highlight of Kyrgyzstan, the other thing that you’ll be here to see is the mountain scenery: unspoilt, endless, and awe-inspiring. It’s one of those places where a postcard just doesn’t describe how incredible it looks. Song Kul Lake takes top marks. It is the second largest lake in the country, and it has the unique feature of being in a flat, hidden valley surrounded by snow capped peaks, hence the tourist draw. Spend your days horseback or walking the terrain covered by wildflowers; by night, before withdrawing to your yurt for the night, look at the stars which seem so close you could reach out and touch one. Manzhyly, another nomadic outpost, sits on the shores of Lake Issyk-Kul and is another good base for hikes and exploring. There’s so many types of trails and sights, you can base yourself in one place yet have so many different experiences. Try to find an old Muslim cemetery; they’re filled with a kluge of sights, from metal yurts to sandstone mausoleums. 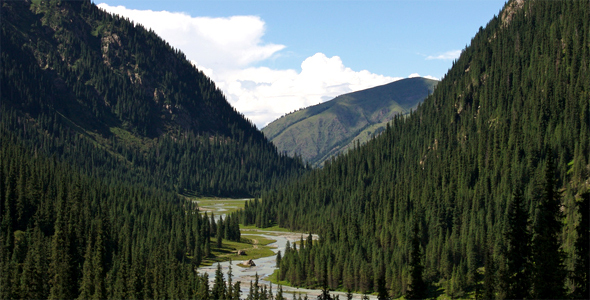 A great resource to use for help touring the countryside is Community Based Tourism Kyrgyzstan. While the food in Kyrgyzstan is similar to that of the rest of Central Asia, the drink culture has developed a few specialities you will want to check out. 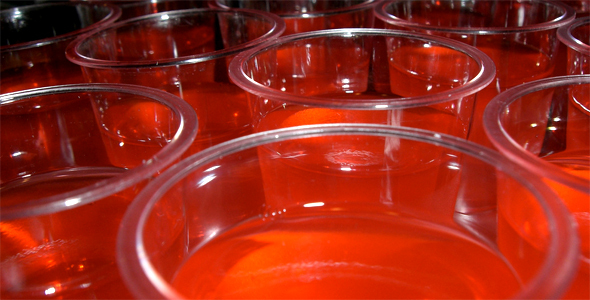 As mentioned, vodka is very prevalent, and of course your hosts will offer you as much tea as you can drink. But the drink culture gets far more interesting than that. For beer lovers, there’s “bozo” which is a bitter made from wheat, not hops. It’s served more like a UK real ale – room temperature and a bit frothy. Come summer you’ll have “jarma”, a refreshing concoction made of fermented barley. If you like your spirits and the vodka is too much for you, sample some “Kyrgyzstan Cognac,” a type of brandy. And if after all that booze you find you have a sore head the next day, ask for some kumys – fermented mare’s milk. It’s known to have restorative properties, but is definitely an acquired taste, so if you’ve not got a solid stomach then it is probably best to stick to the mineral water. Unless you are a passport holder of one of the former Soviet nations or Japan, you’ll need a visa. Most Europeans and other major English speaking nations can obtain a visa from their embassy or consulate before travel or upon arrival at the airport and do not require registration with local officials upon arrival. Note that if you enter the country via an unmanned border crossing you may have trouble exiting, so be sure to get your passport stamped. Kyrgyzstan is a relatively safe country, but women are strongly advised not to travel alone and travel by car in the mountainous regions can be treacherous. The roads are being refurbished throughout the country but conditions are still quite rough. Travelers! Looking for a swanky place to stay? Check out our promotional offers of Luxury Private Villas in Bali, perfect for Honeymooners or those looking for a little romance. We also have great offers for hotels in Singapore, resorts in Phuket and many more.